The 1st contender is Jasmine Mae Montecarlo who studied Secondary Education. She is a former stand-up comedian and mow works as an office clerk. The next contestant is Nicole Bernardo Padilla who is a graduate of Business Administration major in marketing Management. She is a pageants host and an outbound collections specialist in BPO. Last but not the least is Chelsea Aboga Austria who is taking up Secondary Education major in social studies. She is currently a freelance make-up artist and dance choreographer. When the 1st question was asked, Chelsea pressed her buzzer but her answer is incorrect. Jasmine took the opportunity and luckily, her answer is right and she got to advance in the next round. For the 2nd question, Nicole immediately gave the exact answer and she will also advance in the 2nd round while contestant no. 3 is eliminated. Jasmine is called and her question says; will you be able to sing the Christmas song “Silent Night” at daytime in a loud voice? She answered that it is possible because it is just a title of the song and what’s important is you understand the meaning of it. Nicole is the next one to be called and her question says; what is more joyful between pa-ra-pa-pam-pam and fra-la-la-la-la-la-la-la-la? She replied that the latter is much happier because we should feel this feeling not only during yuletide season but also every day. 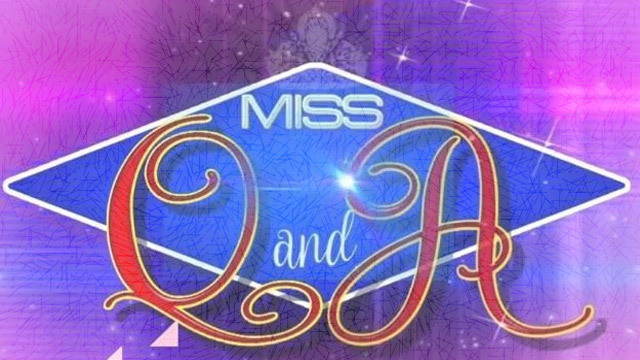 Based on their answers, the judges chose Nicole to go head to head with the reigning queen. Nicole and Rianne sre going to answer the question that says; what is more burdensome you are left behind by your boyfriend or you’re the one who will leave him? The daily winner said that she will be more upset if her boyfriend will abandon her because it will be hard for her to move on. On the other hand, the defending winner stated that she will be devastated if her love will dump her because she believes that love is selfless and your heart will still care for him. After a deliberation, Rianne is still the reigning queen and is now a semi-finalist.